Robert A. Ferguson was speaking in Los Angels, CA. in 1968, as he had authored a new book on psychic telemetry. 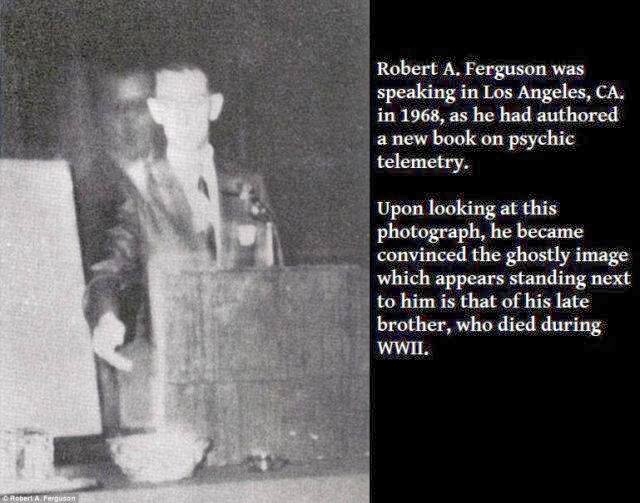 Upon looking at this photograph, he became convinced the ghostly image which appears standing next to him is that of his late brother, who died during WWII.